Warmer weather inspires many homeowners to take on exterior maintenance projects. Cleaning the gutters after winter helps protect your home from rain during spring and summer. Consider these benefits of cleaning gutters in the spring. By cleaning gutters during spring, you’ll help this important component of your home function effectively. Gutters divert runoff from rain and melting snow away from your foundation. They also play a critical role in keeping your basement or crawlspace dry. A dry home is more resistant to structural damage, foundation issues, and mold growth. Your rain gutter system protects your home from water. When debris clogs a gutter, the water runoff pours directly over the eaves. The overflow can splatter dirt and debris against the siding, decks, exterior doors, and windows, causing discoloration and water damage. If you don’t clean the gutters, you may find yourself with a number of other issues, including foundation problems, ice dams, and sagging gutters. Spring and summer bring seasonal storms and frequent downpours. One of the benefits of cleaning gutters in the spring is to prepare the property to withstand heavy rains. Functional gutters properly divert runoff away from your home and foundation. Standing water shortens the lifespan of gutters and downspouts. Eliminate dirt and debris that clog the gutters and allow rainwater to pool up. Debris and standing water in the gutters weighs them down and causes holes and leaks. 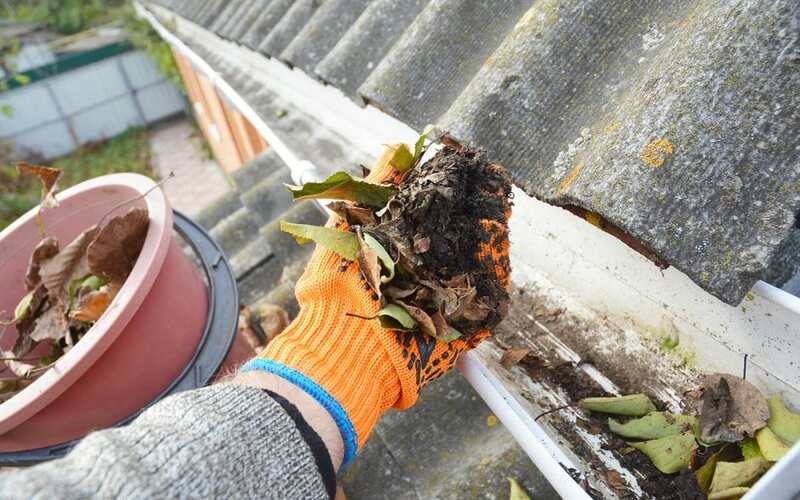 One of the benefits of cleaning gutters is that they will last longer and perform better. Cleaning the gutters after winter is an important home maintenance task for every homeowner, so add gutter cleaning to your spring to-do list. Whether you do it yourself or hire a professional, your home will be better prepared for the warmer and wetter months ahead. Aztec Home Services offers home inspection services in Harrisonburg, VA, and surrounding areas. Contact us to request an appointment.